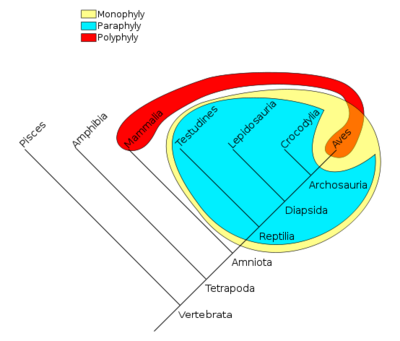 In cladistic, monophyly (also known as Holophyly) considers any group of organisms (taxon) with a common ancestor which therefore constitutes a clade. Monophyly is contrasted with the terms paraphyly and polyphyly. This page was last modified on 6 January 2013, at 07:57.